Kindle edition on sale for a short time for just $2.99!! If you do not have a Kindle, Amazon.com has a free Kindle app download for most any computer, cell phone, iPad, etc. Our new book, Modern Heroine Soul Stories, is now available! 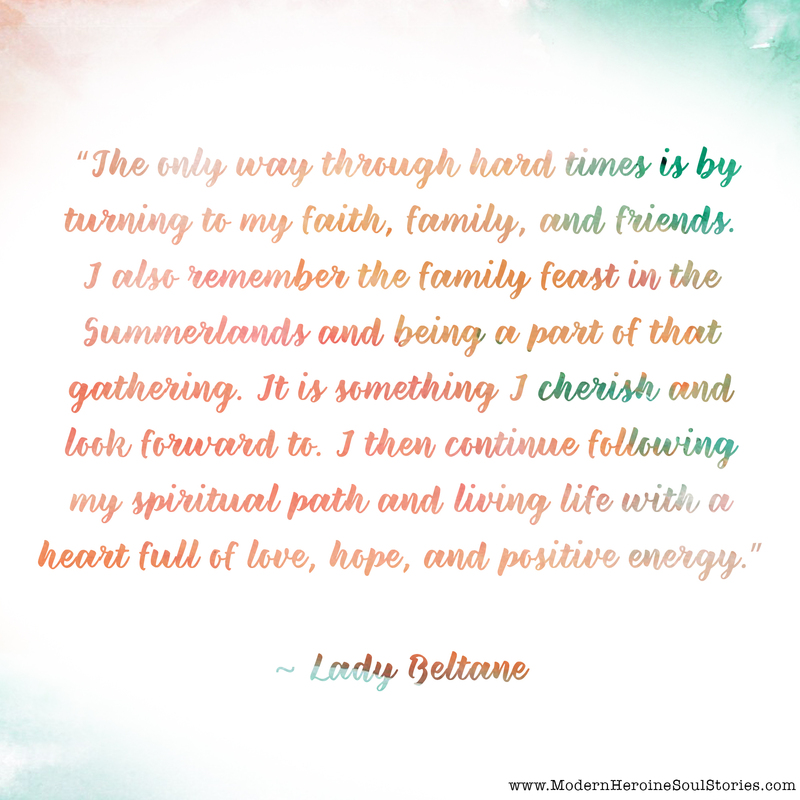 I am proud to be a contributing author to this special collection of inspiring stories. We have been working on it for a year, and early reviewers are saying it’s a hit – so I hope you enjoy it! One of the ways this book is special is that 100% of all book royalties are being donated to Women for Women International so our 24 stories can benefit even more people around the world in practical, uplifting ways. And here’s an even more exciting bit of news: if you buy the book now, you can get one free gift of your choice – and these are NICE gifts! One-on-One healing and coaching sessions, custom reports, free products, free downloads, and more – worth up to $150. Book Download: WTF?! I Have Cancer? Buy our book as a paperback or digital book and you’ll benefit yourself with a free gift PLUS more people around the world! I am sorry the artwork is so crude but I am learning to work with paint on my computer and wanted to post something original today. A solstice happens when the sun’s zenith is at its furthest point from the equator. On the June solstice, it reaches its northernmost point and the Earth’s North Pole tilts directly towards the sun, at about 23.4 degrees. It’s also known as the northern solstice because it occurs when the sun is directly over the Tropic of Cancer in the Northern Hemisphere. 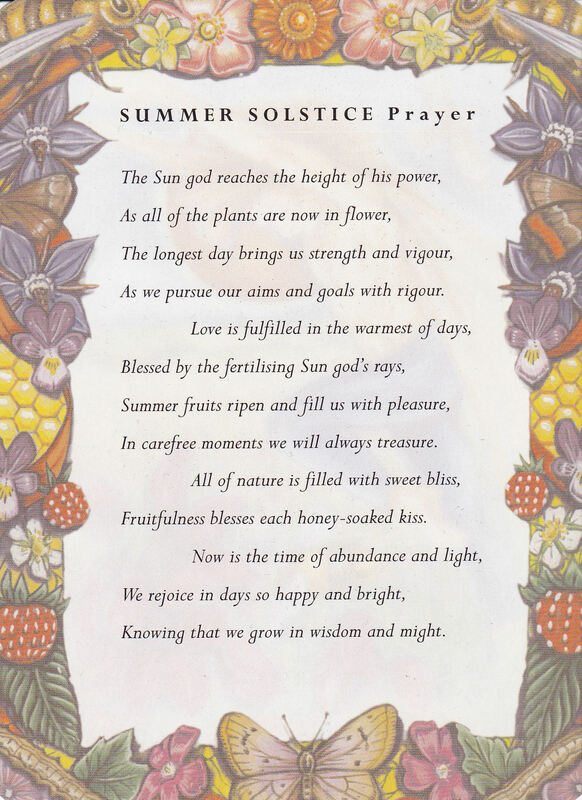 Although the June solstice marks the first day of astronomical summer, it’s more common to use meteorological definitions of seasons, making the solstice midsummer or midwinter. One of the world’s oldest evidence of the Summer Solstice’s importance in culture is Stonehenge in England, a megalithic structure which clearly marks the moment of the June Solstice. On the other side of the planet, south of the Antarctic Circle there’s Polar Night, meaning no Sunlight at all, on the June Solstice. Even though most people consider June 21 as the date of the June Solstice, it can happen anytime between June 20 and June 22, depending on which time zone you’re in. June 22 Solstices are rare – the last June 22 Solstice in UTC time took place in 1975 and there won’t be another one until 2203. A tropical year is the time it takes the Earth to orbit once around the Sun. It is around 365.242199 days long, but varies slightly from year to year because of the influence of other planets. The exact orbital and daily rotational motion of the Earth, such as the “wobble” in the Earth’s axis (precession of the equinoxes), also contributes to the changing solstice dates. or many bygone civilizations, the summer solstice—the longest day of the year—was endowed with great significance. 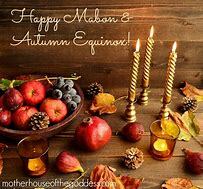 People celebrated this special day, which falls in June in the northern hemisphere and is also known as midsummer, with festivals, celebrations and other observances, some of which still survive or have experienced a revival in modern times. According to certain iterations of the Greek calendar—they varied widely by region and era—the summer solstice was the first day of the year. Several festivals were held around this time, including Kronia, which celebrated the agriculture god Cronus. The strict social code was temporarily turned on its head during Kronia, with slaves participating in the merriment as equals or even being served by their masters. The summer solstice also marked the one-month countdown to the opening of the Olympic games. What Christmas traditions are actually winter solstice traditions? 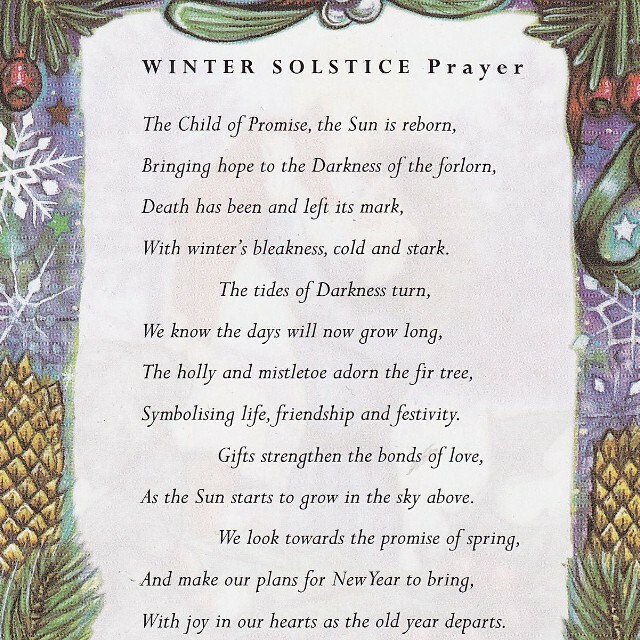 The winter solstice marks the shortest day of the year and is also traditionally understood to be the beginning of winter. This year, the solstice will occur on Dec. 21st, and according to a timetable created by the Astronomical Applications Department of the U.S. Naval Observatory, people in New York will only experience 9 hours and 15 minutes of daylight all day. Those in the U.K. will only have 7 hours and 49 minutes of daylight. The solstice (also known as Yule) has been celebrated as a pagan holiday for thousands of years, and in all actuality, many of the Christmas traditions that seem to be so tightly intertwined with the Christian holiday itself are actually “borrowed” from the pagans. (And by borrowed, we mean condemned and then eventually repurposed). Want to find out which of your favorite Christmas traditions are actually steeped in the pagan celebration of the solstice? The use of a totem animal is not part of traditional Wiccan practice. However, as Wicca and other modern Pagan practices evolve and blend together, many people who follow non-mainstream spiritual paths find themselves working with a mix of many different belief systems. Because of this, someone following a Native American or Indo-European shamanic path might find themselves working with totem animals. While totem animals or power animals have nothing to do with the Wiccan religion, some people do incorporate them into non-Wiccan shamanic practices as well as Neowiccan eclecticism. It should be pointed out that sometimes, the use of totem animals and other Native American practices is sometimes seen as cultural appropriation when it’s done by non-Native American individuals. Some European shamanic systems do connect with animal spirits, but the use of the specific word “totem” implies a Native American connection. It has a very specific, anthropological meaning, and chances are that if you have made a spiritual connection with an animal entity, it does not qualify as a true “totem.” Be cautious what you call your beliefs, because you may find yourself taking ownership of a heritage that’s not actually yours to claim. If you’re not Native American, but are practicing some other form of shamanism, you may want to consider using the term “power animal” or even “spirit animal” instead. A power animal is a spiritual guardian that some people connect with. However, much like other spiritual entities, there’s no rule or guideline that says you must have one. If you happen to connect with an animal entity while meditating or performing astral travel, then that may be your power animal… or it may just be curious about what you’re up to. Our Guide to Healing, Phylameana lila Desy, has a great piece on different types of animal totems and what they mean: Animal Totems. As spring arrives, our gardens begin to bud and eventually bloom. For hundreds of years, the plants that we grow have been used in magic. Flowers in particular are often connected with a variety of magical uses. Now that spring is here, keep an eye out for some of these flowers around you, and consider the different magical applications they might have. This flower is one of the first you’ll see in the spring, and it’s often associated with newly blooming love. The bright petals of the daffodil are typically found in shades of white, yellow or even pale orange. This flower is associated with love and fertility — place fresh ones in your home to bring about abundance. Wear this flower close to your heart to draw love and luck. Place daffodils on your altar during workings related to love, especially if it’s a new relationship and you’re still trying to figure out how to navigate the waters. Add potted daffodil bulbs — don’t worry if they’re blooming yet – to your altar for spring celebrations, along with other spring flowers such as forsythia, crocus, and snowdrops. The dragon is a fantastic beast that appears in almost every mythological tradition throughout the world. Often depicted as a mix of several different creatures, it represents the four elements of life: air, fire, water, and earth. The dragon has the wings of a bird and is covered with the scales of a fish or snake. It is capable of breathing fire, and usually guards a horde of treasure deep within the earth. In pre-Christian Europe and the Far East, the dragon was seen a symbol of power, virility, and superhuman strength, and was considered to be a friend of mankind. In magick, the dragon is wholly beneficent and is seen as the manifestation of life-giving celestial power, and has the attributes of both the sun and moon, masculine and feminine, good and evil sides of nature. The dragon and serpent are usually interchangeable as representations of the unmanifest and the creation of form and matter. The dragon represents the highest spiritual power, the supernatural, and the spirit of change. When you align your forces with those of the dragon, you gain strength and power. Its magick can help you overcome negative thoughts and it can teach you how to live abundantly. This spell is designed to create prosperity. It works best if you have a job and are looking for a pay raise or bonus. One large green pillar candle, dragon’s blood incense, incense burner and charcoal, dragon prosperity oil, a green silk pouch, five new coins (a penny, nickel, dime, quarter, and half-dollar), and an altar or small table. To make dragon’s blood incense, mix 1/2 tsp. dragon’s blood resin with 1/2 tsp. allspice, 1/2 tsp myrrh resin, 1/2 tsp. dried orange peel, 1/2 tsp. sandalwood powder. To the mixture add 3-drops cinnamon oil, and 3 drops orange spice oil. To make dragon prosperity oil, in a small bottle mix 5 drops cinnamon oil with 3 drops orange spice oil, and 2 drops sandalwood oil. The first thing you will need to do is engrave the figure of a dragon on the candle. This can be easily done using awaters (the serpent), and the breath of life (the bird). Generally it is considered to be a ball point pen or small sculpting tool. The engraving does not have to be an elaborate work of art, just a simple outline will do. Begin on the night of the new moon. Place the dragon candle on your altar with the incense burner in front of it. Place the coins on the left side of the candle and the silk pouch on the right side. I greet thee in this sacred hour. Great good fortune on me now shower. That my prosperity shall blossom and flower. For granting my wishes on this night. Leave the candle to burn for four hours and then snuff it out. Repeat this spell every night until all of the coins have been placed in the green pouch. When the last coin has been placed in the pouch, allow the candle to completely burn out. The rite is then complete.